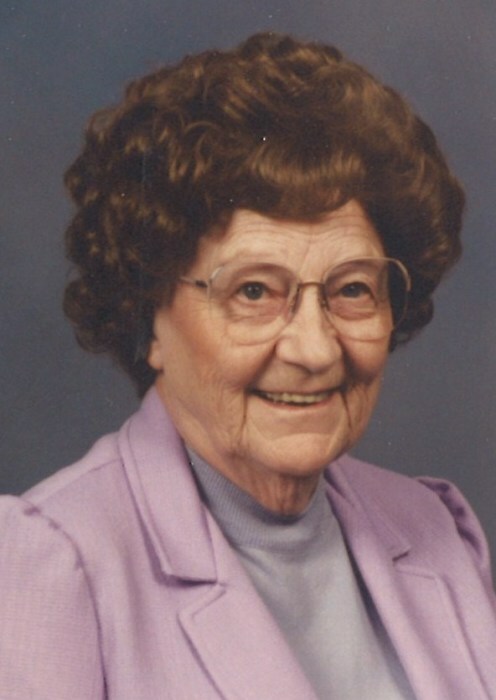 Bonnie T. (Smith) Fossum, 98, passed away peacefully on March 27, 2019 at the Schneidmiller House in Hayden, Idaho. Bonnie was born to Claude F. Smith and Minnie A. (Pulford) Smith on December 25, 1920, in Loon Lake, WA. Bonnie and her parents later moved to Coeur d’Alene in 1921. She attended Winton Elementary, CDA Junior High and graduated from Coeur d’Alene High School in 1938. Bonnie attended North Idaho College which was located on the third floor of the old City Hall Building and graduated from the University of Idaho with a Bachelor of Science in Education in 1942. Her first teaching job was in Potlatch, ID, from 1942-1943 where she taught commercial subjects. Bonnie married Lee Fossum on January 26, 1946 in Coeur d’Alene. They lived in CDA until 1953 when they moved to Spokane. They returned to CDA in 1959. Bonnie taught sixth grade in School District 271 from 1963-82. During this time she was responsible for a number of memorable moments in education. She made arrangements for the NASA Space Mobile Unit to visit all the sixth graders in School District 271 in 1973 and again in 1980. She worked with the sixth grade Outdoor Education program and helped get it started for all sixth graders. Bonnie also conceived the idea for the Coeur d’Alene City Flag which was adopted by the City Council on May 31, 1972, and at one time hung in the City Council Chambers. During her teaching career Bonnie was a member of the Coeur d’Alene Education Association, State of Idaho Education Association and the National Education Association. Bonnie was an active member of the Alpha Chapter of Alpha Delta Kappa (ADK) which is an altruistic teachers’ sorority. She served as President of her local ADK chapter and held State offices of Sergeant-at-Arms, Chaplain and Corresponding Secretary. She became a 50-year-member of ADK in 2019. As an adult Bonnie became concerned about the children attending Winton Elementary that had to cross Lincoln Way on their way to and from school. She worked at getting a traffic light placed on the corner of LaCrosse and Lincoln Way. The light was installed in 1987 and she received a letter of appreciation from former Governor Cecil Andrus for her work on this project. Bonnie served on the City of Coeur d’Alene Cemetery Board for three years and was appointed by former Mayor Ray Stone. She was a member of the local North Idaho Retired Educators Association and was inducted into the Retired Teachers Hall of Fame in 1994. Bonnie was a member of the United Methodist Church. Bonnie is survived by her daughter Beverly Stettler, son-in-law Dennis Stettler , grandson Greg Stettler, M.D., son Ray Fossum and daughter-in-law Kim Fossum. Memorials may be made to the Bonnie and Lee Fossum memorial scholarship fund of North Idaho College, the Museum of North Idaho, the Schneidmiller House or any organization of your choice. A special thank you to the Schneidmiller House for their compassionate care shown to our mother. Bonnie was a wonderful lady who lived her life with dignity, grace and courage. She will be missed. Services for Bonnie have been scheduled for Wednesday April 3, 2019, at the English Funeral Chapel, 1133 N. 4th St., in Coeur d’Alene, ID. A viewing will begin at 10:00 a.m. until her funeral service at 11:00 a.m. Following the service there will be a light reception in the funeral chapel’s fellowship center. Burial will take place at the Riverview Cemetery in Coeur d’Alene, ID.